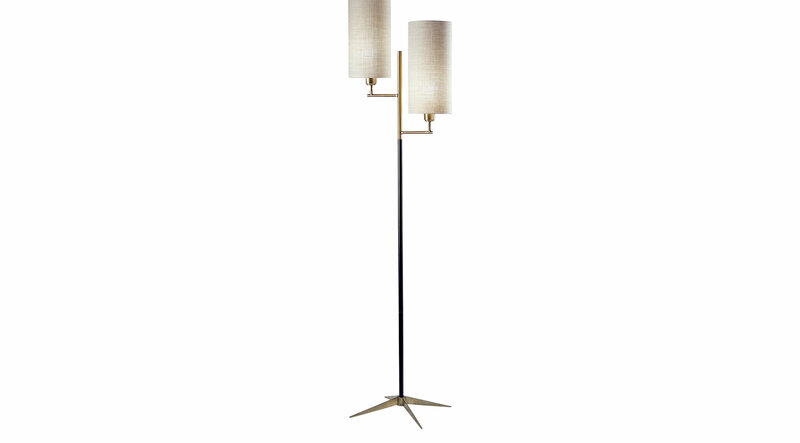 Mid-century modern influence is evident in the Fairwood floor lamp. A mix of matte black and antique brass finishes comprise the body of the lamp. A tall cylinder shaped natural textured fabric shade softens the look. Perfect for the living room, turn each shade on and off by a simple rotary socket switch. A subtle clear cord comes neatly out of the bottom of the base.